NORTH ROBINSON — The Colonel Crawford Eagles baseball team had a rough go in 2018, finishing 4-20 overall, including 2-14 in a talent-packed Northern-10 Athletic Conference. But, that was last year and this season sees the return of an Ohio coaching legend coming back to where it all started years ago. Dan Gorbett, who boasts a career record of 535-287, is back as the skipper for the Colonel Crawford baseball squad, a position that he had at the beginning of his Hall of Fame coaching career and held for 14 years before moving over to lead the Galion Tigers for 11 seasons. Gorbett last saw head coaching duties for Ontario, a position that he held for seven years before going back to being an assistant coach in Galion under Phil Jackson. Gorbett will be joined on his staff by assistant coaches Jim Glauer, Brad McKibben and Jeremiah Radar. Glauer, the head baseball coach at Crestline for two decades, also is a member of the OHSAA Baseball Coaches Hall of Fame. Four seniors are gone from last season’s squad, but six returning lettermen will be back on the diamond for the black and yellow. Juniors Trevin Fairchild, Daylen Balliet and Gavin Feichtner will hope to provide necessary leadership while bolstering the Eagles squad on both sides of the baseball. Feichtner is returning after missing his entire sophomore year with an injury. In addition to the juniors back for Crawford, four players that contributed for the Eagles as freshman will once again suit up. Brock Ritzhaupt, Caleb Lohr, Mason McKibben and Drayton Burkhart will be back on the diamond for their new head coach in the spring of 2019, looking to continue the progress of the Colonel Crawford baseball program. Also looking to help make an impact for the Eagles are juniors Evan Spangler and Ethan Suter, sophomores Cade Hamilton and Dylan Cooke and freshman Carson Feichtner. Colonel Crawford’s regular season began on the road, at Plymouth High School on Monday, March 25. The Eagles won the contest 4-3 to start the season in the win column. 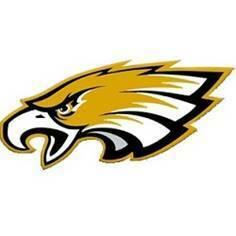 On Wednesday, March 27, the Eagles will welcome the Upper Sandusky Rams to their home field to kick-off their N-10 schedule.